What is autism spectrum disorder? Autism spectrum disorder (ASD) is a developmental disability that can cause significant social, communication, and behavioral challenges. The term “spectrum” refers to the wide range of symptoms, skills, and levels of impairment that people with ASD can have. ASD affects people in different ways and can range from mild to severe. People with ASD share some symptoms, such as difficulties with social interaction, but there are differences in when the symptoms start, how severe they are, the number of symptoms, and whether other problems are present. The symptoms and their severity can change over time. The signs of ASD begin in early childhood, usually in the first 2 years of life, although a small minority of children may show hints of future problems within the first year of life. ASD affects people of every race, ethnic group, and socioeconomic background. It is five times more common among boys than among girls. The Centers for Disease Control and Prevention (CDC) estimates that about 1 in every 68 children in the U.S. has been identified as having ASD. How Does ASD Affect Communication? The word “autism” has its origin in the Greek word “autos,” which means “self.” Children with ASD are often self-absorbed and seem to exist in a private world in which they have limited ability to successfully communicate and interact with others. Children with ASD may have difficulty developing language skills and understanding what others say to them. They also often have difficulty communicating nonverbally, such as through hand gestures, eye contact, and facial expressions. The ability of children with ASD to communicate and use language depends on their intellectual and social development. Some children with ASD may not be able to communicate using speech or language, and some may have very limited speaking skills. Others may have rich vocabularies and be able to talk about specific subjects in great detail. Many have problems with the meaning and rhythm of words and sentences. They also may be unable to understand body language and the meanings of different vocal tones. Taken together, these difficulties affect the ability of children with ASD to interact with others, especially people their own age. Below are some patterns of language use and behaviors that are often found in children with ASD. Repetitive or rigid language. Often, children with ASD who can speak will say things that have no meaning or that do not relate to the conversations they are having with others. For example, a child may count from one to five repeatedly amid a conversation that is not related to numbers. Or a child may continuously repeat words he or she has heard—a condition called echolalia. Immediate echolalia occurs when the child repeats words someone has just said. For example, the child may respond to a question by asking the same question. In delayed echolalia, the child repeats words heard at an earlier time. The child may say “Do you want something to drink?” whenever he or she asks for a drink. Some children with ASD speak in a high-pitched or sing-song voice or use robot-like speech. Other children may use stock phrases to start a conversation. For example, a child may say, “My name is Tom,” even when he talks with friends or family. Still others may repeat what they hear on television programs or commercials. Narrow interests and exceptional abilities. Some children may be able to deliver an in-depth monologue about a topic that holds their interest, even though they may not be able to carry on a two-way conversation about the same topic. Others may have musical talents or an advanced ability to count and do math calculations. Approximately 10 percent of children with ASD show “savant” skills, or extremely high abilities in specific areas, such as memorization, calendar calculation, music, or math. Uneven language development. Many children with ASD develop some speech and language skills, but not to a normal level of ability, and their progress is usually uneven. For example, they may develop a strong vocabulary in a particular area of interest very quickly. Many children have good memories for information just heard or seen. Some may be able to read words before age five, but may not comprehend what they have read. They often do not respond to the speech of others and may not respond to their own names. As a result, these children are sometimes mistakenly thought to have a hearing problem. Poor nonverbal conversation skills. Children with ASD are often unable to use gestures—such as pointing to an object—to give meaning to their speech. They often avoid eye contact, which can make them seem rude, uninterested, or inattentive. Without meaningful gestures or other nonverbal skills to enhance their oral language skills, many children with ASD become frustrated in their attempts to make their feelings, thoughts, and needs known. They may act out their frustrations through vocal outbursts or other inappropriate behaviors. How Are the Speech and Language Problems of ASD Treated? If a doctor suspects a child has ASD or another developmental disability, he or she usually will refer the child to a variety of specialists, including a speech-language pathologist. This is a health professional trained to treat individuals with voice, speech, and language disorders. 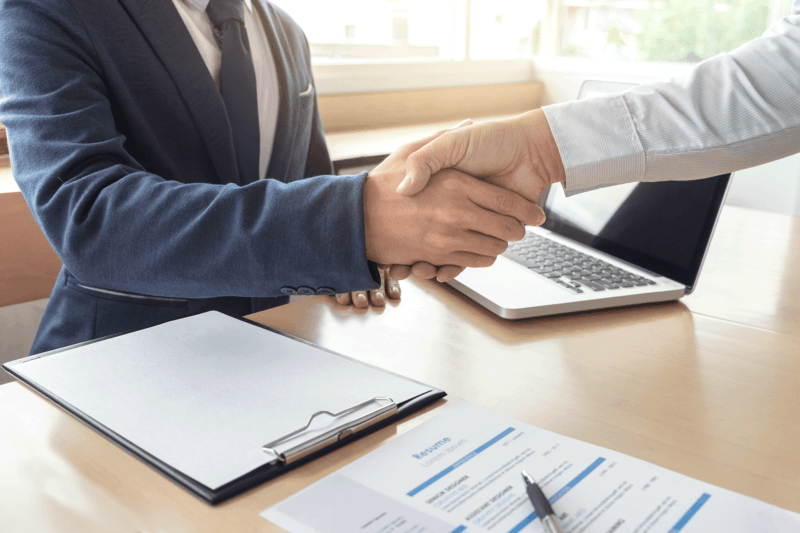 The speech-language pathologist will perform a comprehensive evaluation of the child’s ability to communicate, and will design an appropriate treatment program. In addition, the speech-language pathologist might make a referral for a hearing test to make sure the child’s hearing is normal. Teaching children with ASD to improve their communication skills is essential for helping them reach their full potential. There are many different approaches, but the best treatment program begins early, during the preschool years, and is tailored to the child’s age and interests. It should address both the child’s behavior and communication skills and offer regular reinforcement of positive actions. Most children with ASD respond well to highly structured, specialized programs. 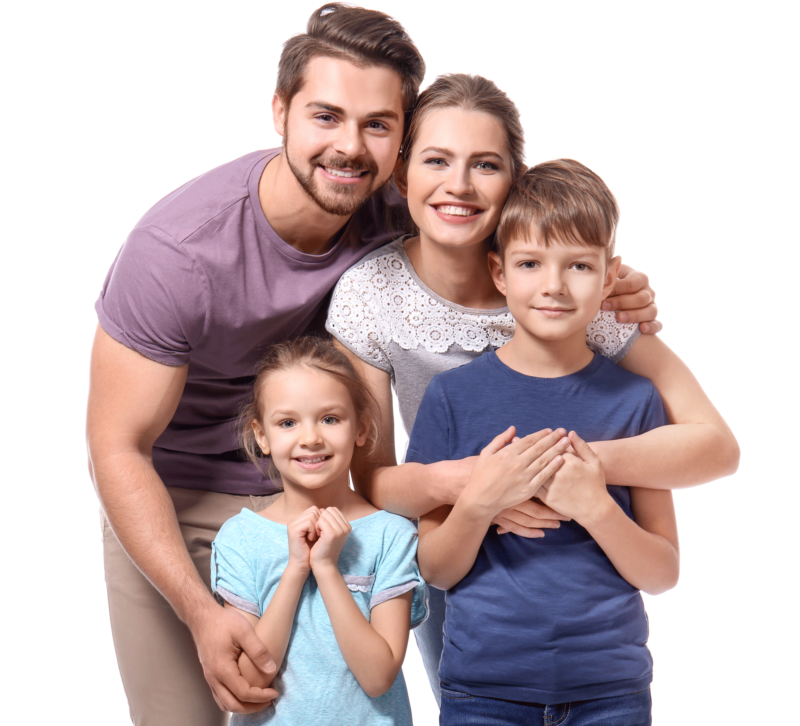 Parents or primary caregivers, as well as other family members, should be involved in the treatment program so that it becomes part of the child’s daily life. For some younger children with ASD, improving speech and language skills is a realistic goal of treatment. Parents and caregivers can increase a child’s chance of reaching this goal by paying attention to his or her language development early on. Just as toddlers learn to crawl before they walk, children first develop pre-language skills before they begin to use words. These skills include using eye contact, gestures, body movements, imitation, and babbling and other vocalizations to help them communicate. Children who lack these skills may be evaluated and treated by a speech-language pathologist to prevent further developmental delays. For slightly older children with ASD, communication training teaches basic speech and language skills, such as single words and phrases. Advanced training emphasizes the way language can serve a purpose, such as learning to hold a conversation with another person, which includes staying on topic and taking turns speaking. Some children with ASD may never develop oral speech and language skills. For these children, the goal may be learning to communicate using gestures, such as sign language. For others, the goal may be to communicate by means of a symbol system in which pictures are used to convey thoughts. Symbol systems can range from picture boards or cards to sophisticated electronic devices that generate speech through the use of buttons to represent common items or actions. What Research Is Being Conducted to Improve Communication in Children with ASD? The federal government’s Autism CARES Act of 2014 brought attention to the need to expand research and improve coordination among all of the components of the National Institutes of Health (NIH) that fund ASD research. These include the National Institute of Mental Health (NIMH), along with the National Institute on Deafness and Other Communication Disorders (NIDCD), the Eunice Kennedy Shriver National Institute of Child Health and Human Development (NICHD), the National Institute of Environmental Health Sciences (NIEHS), the National Institute of Neurological Disorders and Stroke (NINDS), the National Institute of Nursing Research (NINR), and the National Center for Complementary and Integrative Health (NCCIH). Together, five institutes within the NIH (NIMH, NIDCD, NICHD, NIEHS, and NINDS) support the Autism Centers of Excellence (ACE), a program of research centers and networks at universities across the country. Here, scientists study a broad range of topics, from basic science investigations that explore the molecular and genetic components of ASD to translational research studies that test new types of behavioral therapies. Some of these studies involve children with ASD who have limited speech and language skills, and could lead to testing new treatments or therapies. You can visit the NIH Clinical Trials website and enter the search term “autism” for information about current trials, their locations, and who may participate. The NIDCD supports additional research to improve the lives of people with ASD and their families. 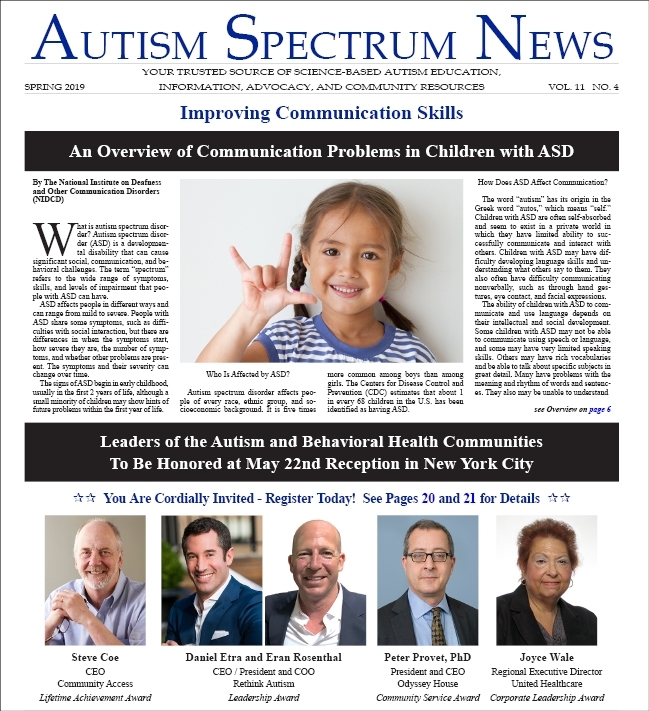 An NIDCD-led workshop focused on children with ASD who have limited speech and language skills, resulting in two groundbreaking articles.1 Another NIDCD workshop on measuring language in children with ASD resulted in recommendations calling for a standardized approach for evaluating language skills. The benchmarks will make it easier, and more accurate, to compare the effectiveness of different therapies and treatments. How parents can affect the results of different types of language therapies for children with ASD. Enhanced ways to improve communication between children with and without ASD. This could involve a communication board with symbols and pictures, or even a smartphone app. Factors that may better predict whether an infant is at risk for developing ASD when an older sibling has the disorder, and when the infant shows problems in early social communication skills. Techniques to help researchers better understand how toddlers with ASD perceive words, and the problems they experience with words. Cost-effective ways to prevent or reduce the impact of conditions affecting speech, language, and social skills in high-risk children (for example, younger siblings of children with ASD). The development of software to help people with ASD who struggle with speech to communicate complex thoughts and interact more effectively in society. Where Can I Find Additional Information About ASD? In addition, the NIDCD maintains a directory of organizations that provide information on the normal and disordered processes of hearing, balance, taste, smell, voice, speech, and language. This article has been reprinted and can be found at www.nidcd.nih.gov/health/autism-spectrum-disorder-communication-problems-children. Kasari, C., Brady, N., Lord, C., & Tager-Flusberg, H. (2013). Assessing the minimally verbal school-aged child with autism spectrum disorder. Autism Research, 6(6), 479–493. doi: 10.1002/aur.1334. Review. Tager-Flusberg, H., & Kasari, C. (2013). Minimally verbal school-aged children with autism spectrum disorder: the neglected end of the spectrum. Autism Research, 6(6), 468–478. doi: 10.1002/aur.1329. Review.